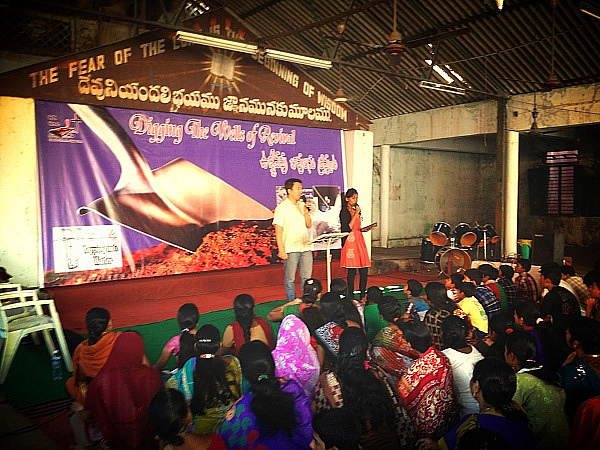 The first time I preached was last Dec when we went to India to visit a missionary couple. Before that, I always had the desire to preach. Maybe this is part of my own imagination and maybe also part of the Holy Spirit. The first time I preached, I preached on the Fear of the Lord is the Beginning to Wisdom (Proverbs 9:10). This was never the topic I thought to preach on. As I was praying, I felt the prompting of the Holy Spirit that this was the right topic. Little did I know, on the platform where I first preach, their banner was Proverbs 9:10. I believed I listened correctly to the prompting of the Holy Spirit. My joy wasn’t because my message was elegant or witty or people listened to me. My joy was simply I spoke the words God wanted me to speak to the church. Since being in Uganda for a month, I had the privilege to preach in various churches. I like to jot down some of my thoughts when it comes to preaching. Preaching is to speak God’s Word to the church. The preacher is like the prophets in the Old Testaments. A preacher’s job is to become God’s mouthpiece. The message can be an exhortation, encouragement and also a rebuke. The message might not be good to the ears to hear if the heart of the hearer is not right in God. Preaching is not a performance. Rather, the preacher’s heart is so attune to God’s heart that the message flows out. Technique is almost not relevant. A few years ago I was among discussions about doing a three point sermon or how long should a sermon be before the audience got bored. These should not be the focus of how to preach. The first and last question is, did I serve the Lord by preaching the Word which He wanted the church to hear? If the answer to the question is not a yes, then the sermon is garbage. The success of a preacher is not how polish the message is delivered. It is not the skillful elegance of the presentation. Rather it is to speak as accurate as what God wants to speak to the church. In Paul’s eyes, to preach is to show the power of the cross and the demonstration of the Spirit and of power (1 Corinthians 2:1-4). A preacher can deliver a polish message without God. But a preacher, filled with the Holy Spirit, will always cut to the heart of the hearer. A message inspired by the Holy Spirit will ALWAYS be relevant and ALWAYS bring glory to God. Paul even said that he didn’t use fancy words to convince the Corinthians. He used simple words and power through the Holy Spirit to share Jesus Christ and His crucifixion. We need that. 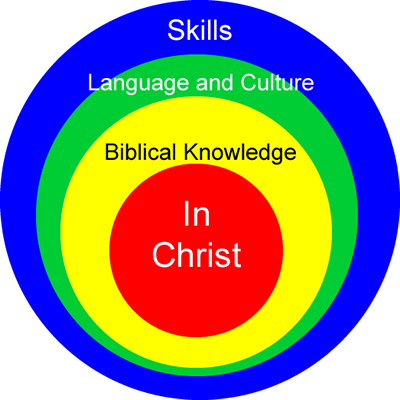 If our presentation skills are too good, people will draw to the message by us and not of Christ. This is not an excuse to not prepare. We need to focus on the right things to prepare. Thus, technique is not the right things to focus on. The response of the hearer does not measure the success of a preacher. If the hearer’s heart is not right with the Lord, a message of rebuke might turn them against the preacher (look at Stephen from Acts 6:8-7:60). But this has nothing to do with whether the preacher is good or not. If the hearer rejects a message from the Lord, it is the hearer’s responsibility (and possible judgement and condemnation from the Lord). When Paul preached, he didn’t always get a positive response. In fact, he get more negative and hostile responses from the Jews (Acts 9:20-24, 13:45-52, 14:3-7, 14:19-20, 17:5-9, 17:12-13). But this doesn’t deter Paul from preaching nor was his preaching ineffective as many Gentiles and some Jews believed. My goal for every time I preach is to be in a position where I, the Lord’s servant, become His mouth piece. This requires the Holy Spirit. The Holy Spirit only comes to those whose hearts are pure. It is the Holy Spirit which gives us access to God’s heart. This is the only formula. If there are sins in my life, I will not be effective in preaching. Notice Isaiah only become God’s prophet after his sin (his mouth) is cleansed. When filled with the Holy Spirit, we can be imparted with wisdom and understanding of the Bible. When Peter and John were before the Sanhedrin in Acts 4:13, the Sadducees were astonished that they were not train nor educated. Yet they preach with such boldness, conviction and wisdom. In our church when our preachers are highly educated and highly skilled, does that hinder the gospel rather than promoting it? Paul in 1 Corinthians 2:1-5 stated that he came to Corinth church not with excellent speech or persuasive words of human wisdom. But he came in demonstration of the Spirit and of power so his hearer will put their faith in the power of God and not in the wisdom of men. My preparation as a preacher has two folds. First, I need to know the Bible. Such that when Holy Spirit prompts me I can pull passages easily. The more Bible I know, the more effective I will be in speaking in Truth and in Love. The second is to abide in Him. For me, that’s to be filled with the Holy Spirit and walk with the Spirit. In Acts, we see Holy Spirit is the one who directs the steps of all the disciples. Only after the Day of Pentacost, then the disciples preach Jesus and the Cross with boldness. This is the KEY. We need to walk with the Spirit that we know where He is moving. The Holy Spirit is like the wind. He knows what each church needs to hear. We need to hear from Him to deliver the right message. We might not know why the Holy Spirit is prompting us to preach a certain topic or use a certain Bible verse. We might think we are foolish to do so. But we must trust. We must learn to trust. We must learn to listen. We must learn to discern. I make it habit to not use the same sermon I used before. I might use the same illustrations and testimonies. It doesn’t mean every time I preach has to be new and novel thoughts or interpretation. It means that after I prepared my sermon, I always give the room for the Holy Spirit to discard the message or change any of its content. In all the sermons that Luke recorded in Acts (Peter’s sermons in Acts 2:14-39, 3:11-26, 10:34-43, Paul in Acts 13:16-41, 17:22-31, 26:1-23), there’s a common thread between all of them. They always preach on Christ, the Cross, and Resurrection. The exception is Acts 22:1-21 when Paul was addressing to the Jerusalem mob. It looks like the mob cut Paul off in verse 22 before he preached on Jesus. I believed that preaching, my preaching should stay consistent with what was preached in Acts. To some, this might seem irrelevant as the cross is already preached and the listeners need to hear something different. I beg to differ. To preach anything else other than Jesus and the Cross reduces the centrality of Christ in Christianity. We need to not be afraid by public opinions to preach sin as it leads to death. We need not be afraid to offend others that there’s no salvation found other than Christ alone. Lastly, Jesus overcame death by resurrection in the third day. This is the victory which we hold on to. This is why we preach. There’s power, a demonstration of God’s power in preaching Jesus, the Cross and the Resurrection. This is the Good News. I hope I will never get tired or stray from preaching this. We preach not to draw others to us. We preach to draw others to Jesus. This is the goal. Just as John the Baptist said, ‘He must increase, but I must decrease’ (John 3:30). Preaching is not a profession. It is not a job. It is a calling from God. It is appointed by God (1 Timothy 2:7). Paul was created in his mother’s womb to preach. That was God’s purpose for Paul’s life. When he was born again and he discovered God’s purpose for his life, Paul made it his only goal to pursuit this purpose. Woe to me if I don’t preach the Gospel (1 Corinthians 9:16). These are the words of a man who is filled with the Holy Spirit and recognized the purpose God placed him on earth. If we are to be effective in preaching, we need to be like Paul. Man (and woman) so filled with the Spirit, a clean heart, and a single purpose to do His Will.